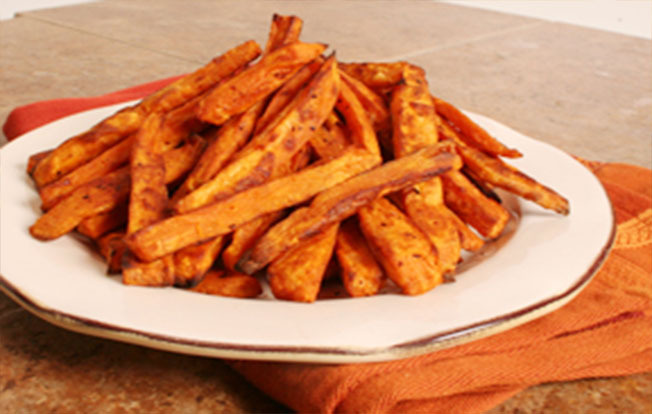 These simple and delicious sweet potato fries are perfect to go with nearly any meal this fall. They’re a wonderful side dish, adding flavor, color and nutrients to your meal. They’re a snap to make and they’ll be enjoyed by everybody!